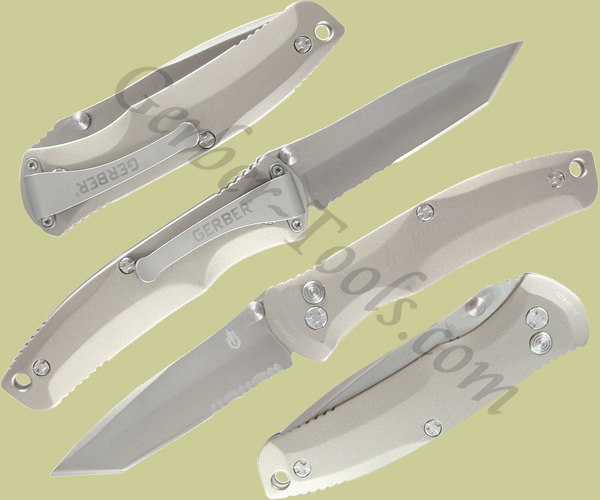 The Gerber Venture 30-000405 has Assisted Opening 2.0 for easy one handed operation with dual thumbstuds. The blade is a partially serrated tanto point for a wide range of applications. 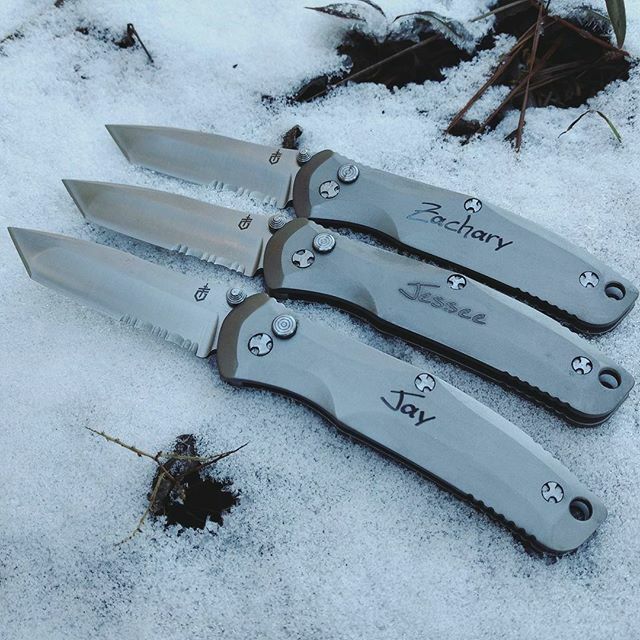 The titanium handle gives the Venture a bare bones look that seems to shout that it is ready for action. A thumb plunge lock is incorporated into the handle, and a clip is included for convenient carrying.